All steel construction for greater strength and durability. 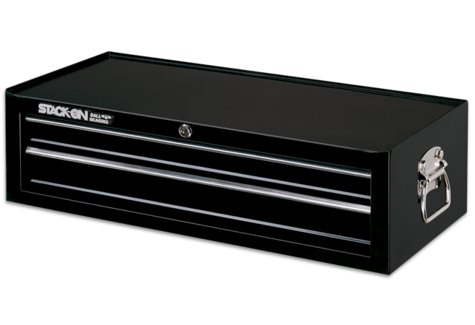 All drawers operate on full extension ball bearing drawer slides. Chest is designed with double wall steel construction for greater strength and durability. Rear locking mechanism, which runs the height of the unit, locks full-length drawers in at least two locations. Cylinder, key-coded lock and steel locking bars secure the contents.